Writing great articles helps you build an audience. And that audience is the foundation for your online business. It will bring clients to you, instead of you having to go out knocking on doors. However, producing great content is not just about putting up anything that’s on your mind. There are things you have to do, and things you should never do. 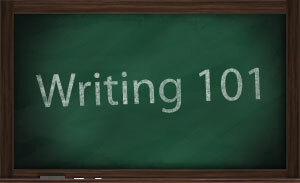 And in this article series, you can dive deeper into how you can use writing to attract customers, clients and fans. So What If You Don’t Write (or Speak) Perfect English? Are you interested in learning how to write in a way that attracts the right people to you? If you want to write articles that inspire, educate, and help you build a thriving audience, you may want to check out my latest book. 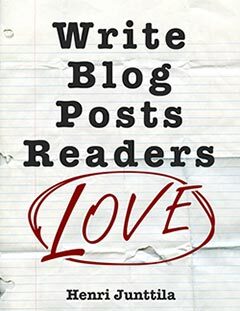 It’s called Write Blog Posts Readers Love: A Step-By-Step Guide. You can grab the book on Amazon. Writing alone will not get you the gold at the end of the rainbow, you need traffic and you need passion, just to name a few critical factors. And the way you bring together all of the different factors is to use a plan that’s proven to work, which is what the Wake Up Cloud newsletter is all about. You don’t have to know everything, you just have to know enough. When you join the newsletter, you’ll also get my free special report: 7 Steps to Building a Business Around Your Passion. After that, you’ll get 1-2 emails per week with training and tips to help you move forward. Simply fill in your email below and we’re off to the races.